Faith: Happy St. David's Day! The children dress up in their Welsh costumes, traditionally the boys used to wear little suits, but now it tends to be Welsh rugby shirts and little girls dress up in traditional welsh costumes, with shawls and black bonnets with lace trim. I have busied myself like a good Welsh lady making welsh cakes for tea....yum! 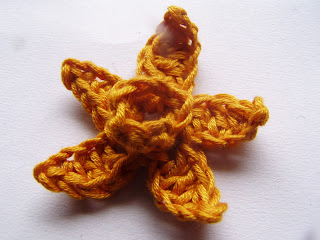 And on request, I crocheted a leek for biggest boy (after a few attempts on trying to work out what exactly a crocheted leek would look like if I saw one) and a couple of daffodils for the other two, middle said that it was far to girly, so I wore his to the school Eisteddfod (pronounced eye-stethe-fod) this afternoon. An eisteddfod is normally a performance of music and dance, where people show off their talents....and what a talented bunch of children there were today at middle's school....a real delight. So, I know what you're thinking, what would the model Welsh family being having for their supper this evening?......well, curry of course! Rofl Curry !! love it. Oh my gosh how cute are your little uns..., course the bigger un prob would hate being called cute now, mine would die of which only makes me do it more. Love the leek, that is so cool and that would be the emblem I'd choose to wear, course I'd not have the foggiest notion on how to make it. I love the colour you used for your daffodils and those Welsh Cakes look yum ! Happy St. David's day to you and your family Faith. 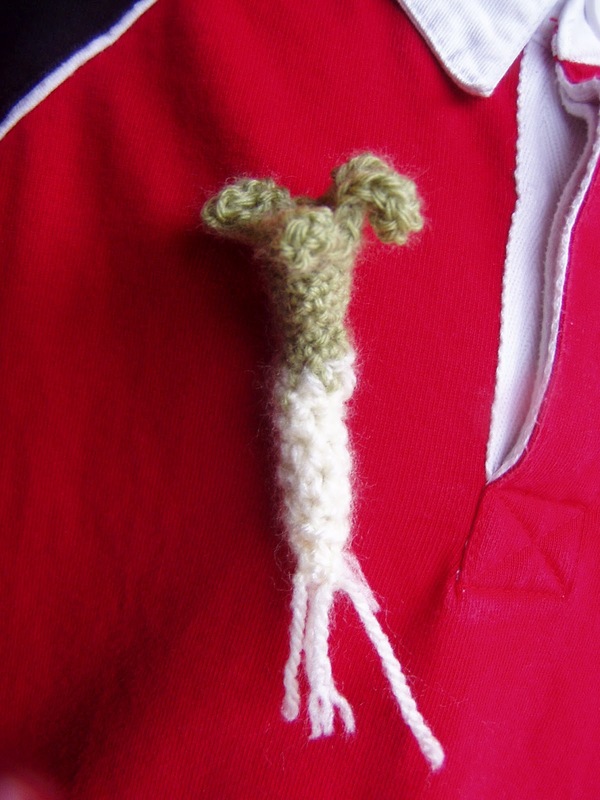 I love your crocheted leek...brilliant! 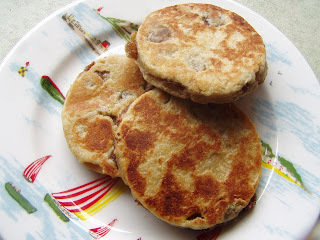 I am ashamed to say i have never had a welsh cake before but would love to try them. It would be great if you could share your recipe sometime in the future xox Enjoy your curry! 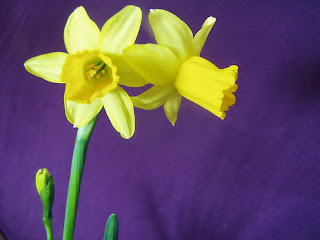 I had never heard of St Davids day before- more things I have now learned from blogging!!! 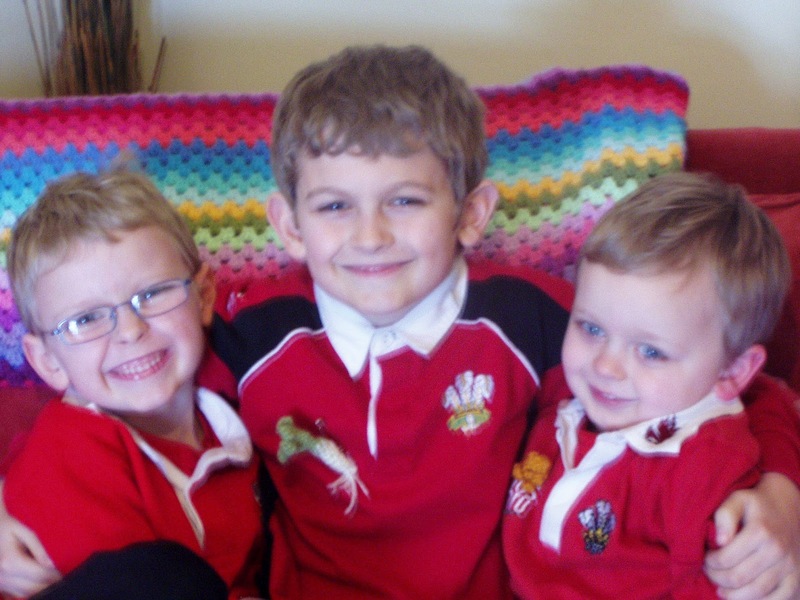 Lovely picture of the boys.Happy St David's day! That has made me laugh - all that Welsh goodness then curry for dinner. What a hoot. I looked up a recipe for those lovely welsh cakes yesterday - I can't wait to try some even if I don't have a proper bakestone thingy. They look delicious!! Your boys are adorable and I quite like the crochet daff and leek. They all look wonderful, your boys, crochet and the welsh cakes!! That daffodil and leek look fantastic, I hope you all had a great day. Happy belated St David's Day! I meant to drop by on the actual day, but it just didn't happen. I'd love the Welsh Cakes recipe too, they look perfect! Glad you all had a lovely day. What sort of curry :) ?